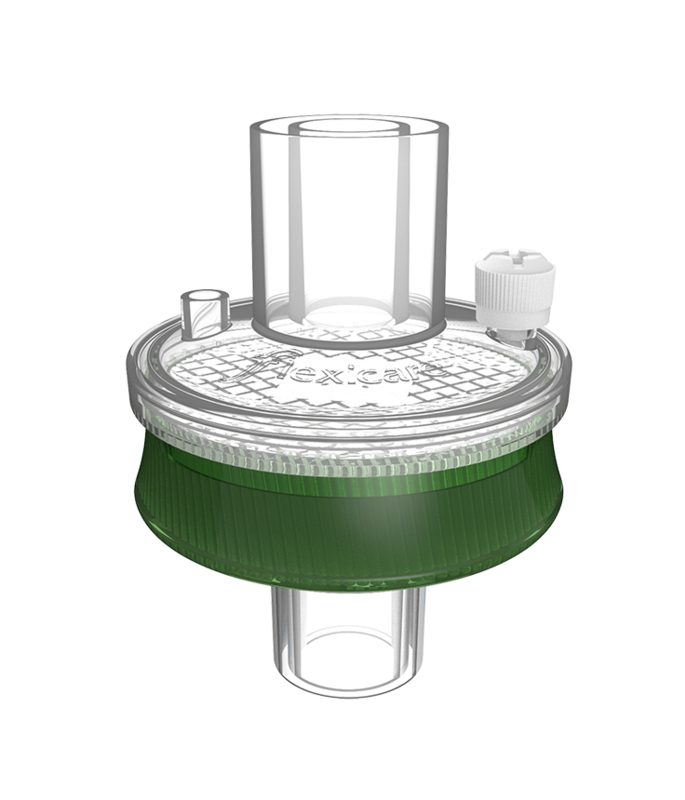 The cap-less, self-sealing valve automatically prevents possible leaks or air entrainment around a loose or poorly fitted cap. 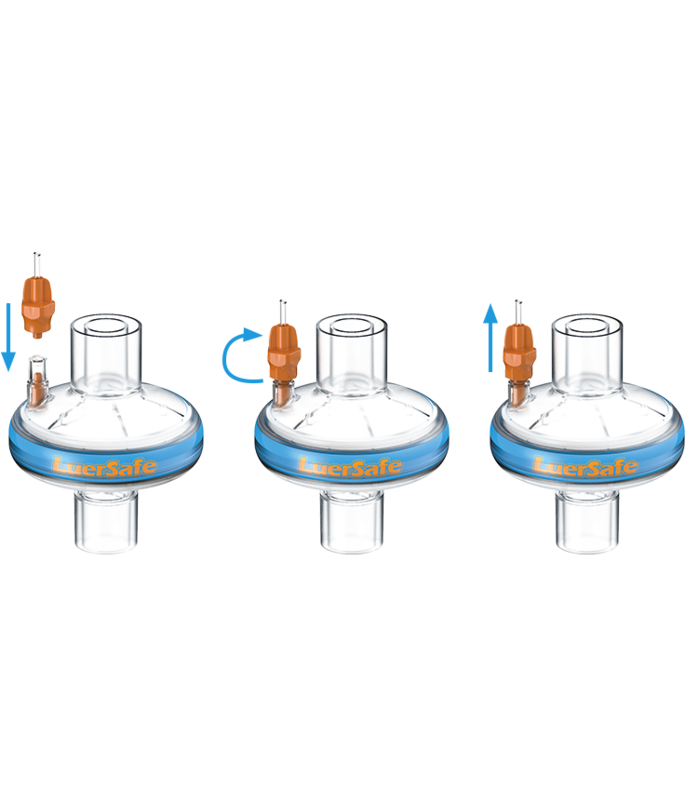 Distinctive orange colour coding of the LuerSafe valve and LuerSafe monitoring line clearly indicates the correct corresponding connectors. 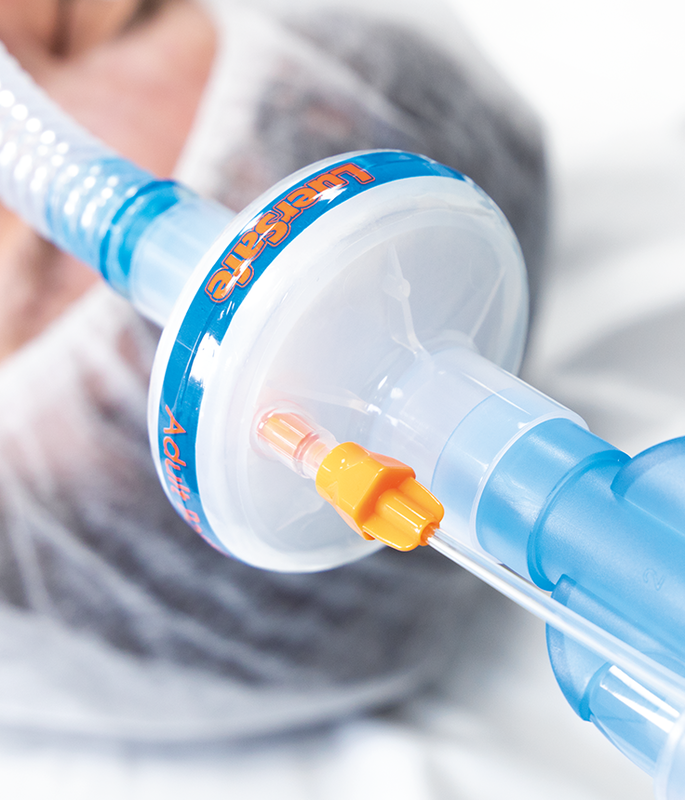 LuerSafe eliminates the risk of misconnection to standard luer connectors, such as IV tubing, ensuring the connection is to the monitoring line only. 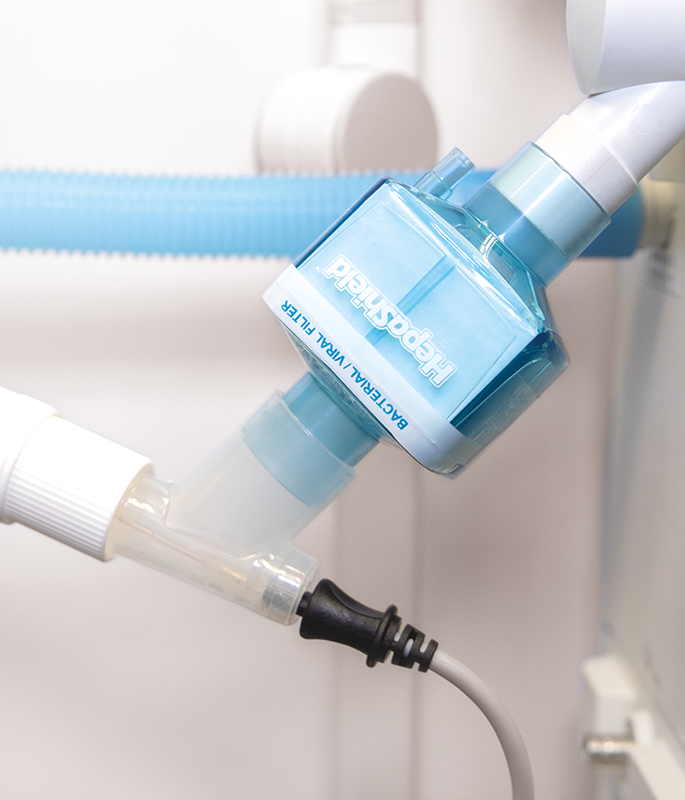 Insert the colour coded monitoring line connector into the LuerSafe Port, pressing down and rotating in a clockwise direction. 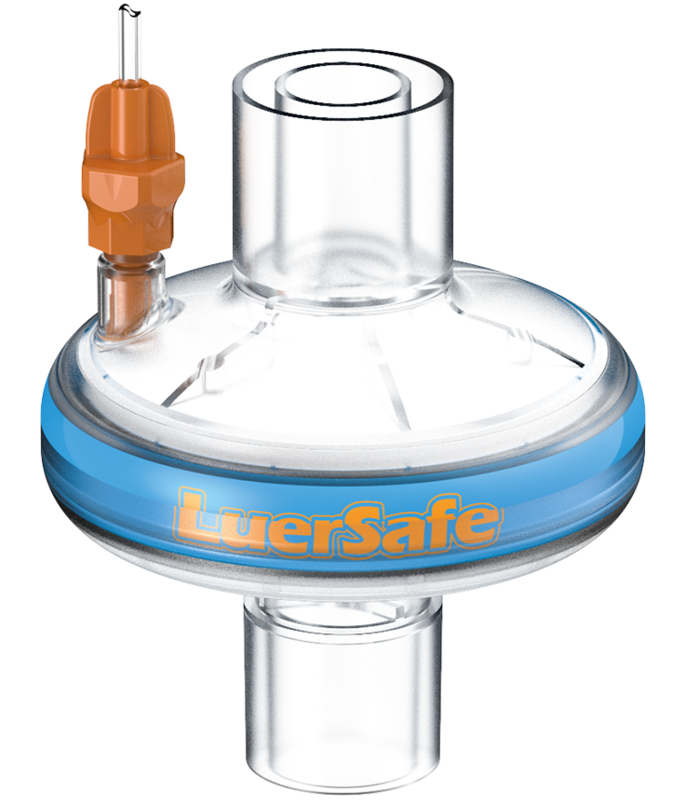 Check the LuerSafe is securely locked and verify the capnography trace. To remove, unscrew the monitoring line and the valve will self-seal. 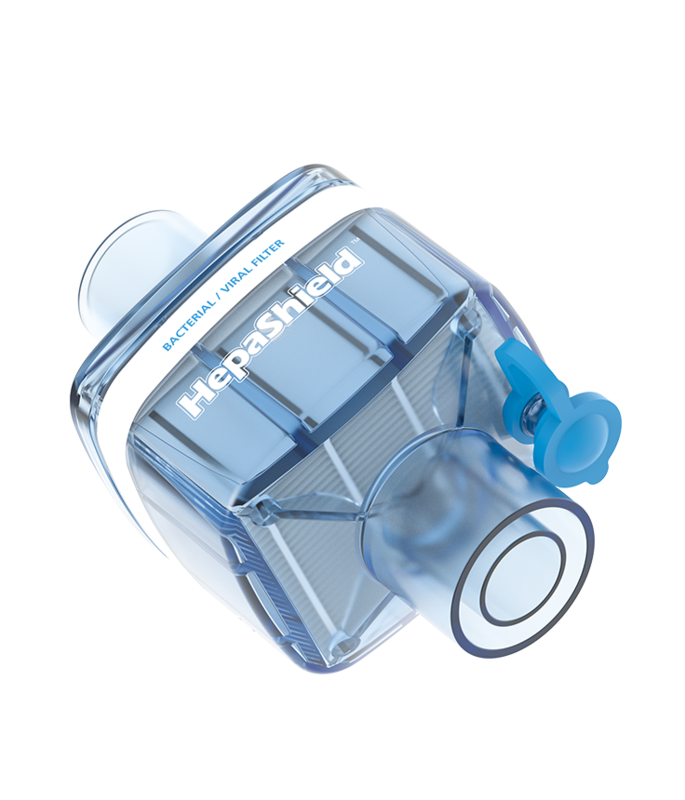 Hepashield pleated hydrophobic bacterial/viral mechanical filters minimise flow resistance and maximise surface area for superior filtration efficiency. 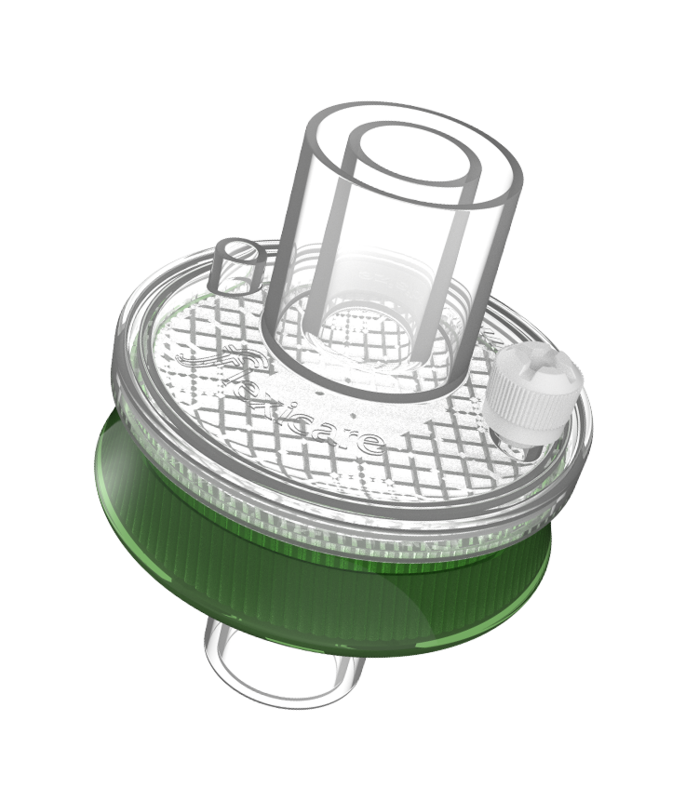 Push-fit tethered luer lock cap, secured with a strap reducing the risk of misplacement or loss. Smooth contours prevent pressure marks on the patient. 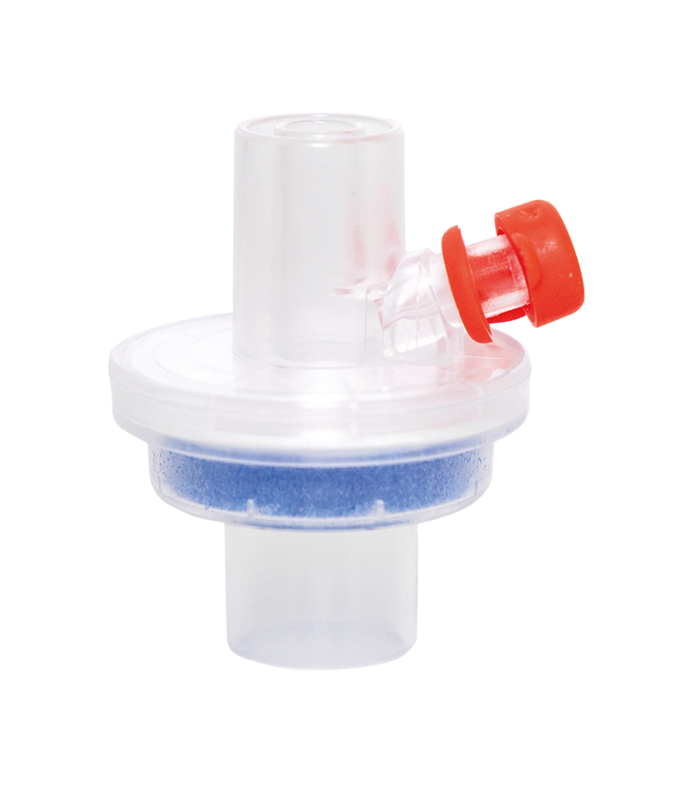 Light weight construction reduces drag on the breathing system and airway. 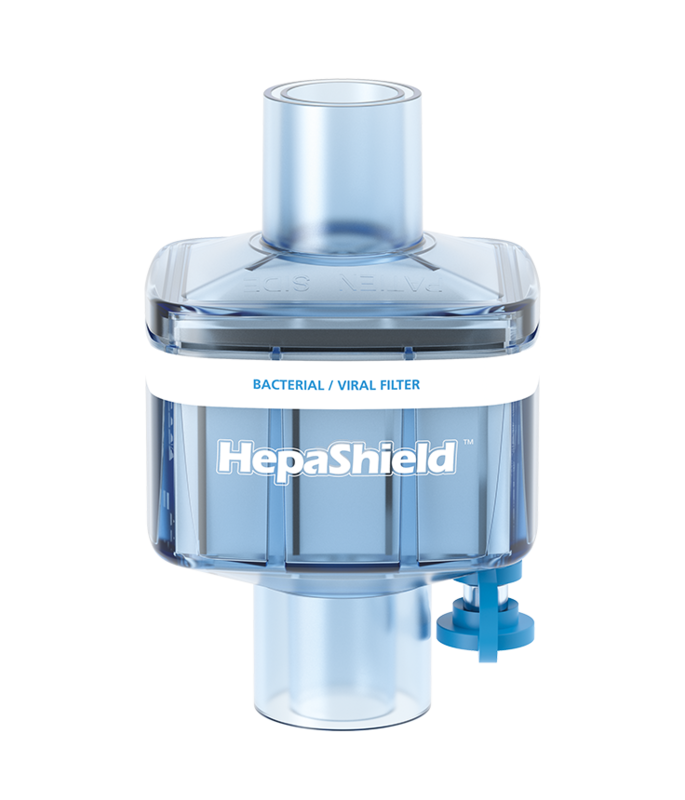 Climavent HMEs are respiratory heat and moisture exchangers that provide the highest level of humidification. 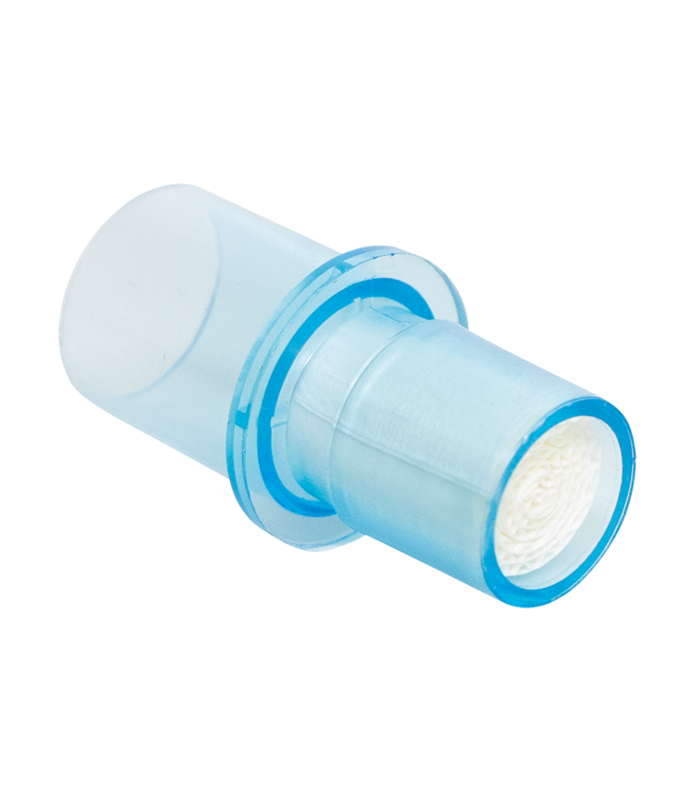 Cellulose paper enhanced with Calcium salt ensures optimal humidification.